Whisky is one of the most enjoyed spirited beverage around the world! However, many people even most Whisky connoisseurs, know very little about its ingenious ingredient and its steeped history. 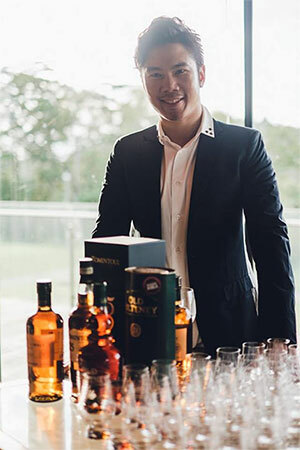 Here at Fine Wines SG, we are proud to offer you this opportunity to learn from our experienced and certified Whisky expert, as well as tasting a stunning variety of Whiskies! Be entertained and educated about the origins of the world’s most historic drink, how it is made and what makes Scotch distinctly different from Irish Whiskey and Bourbon Whiskies. Bring the world’s most magical spirit to life with your education in whisky! 3) Food paring with whisky. You will surprise that it pairs well with “this” favorite local snack and more! 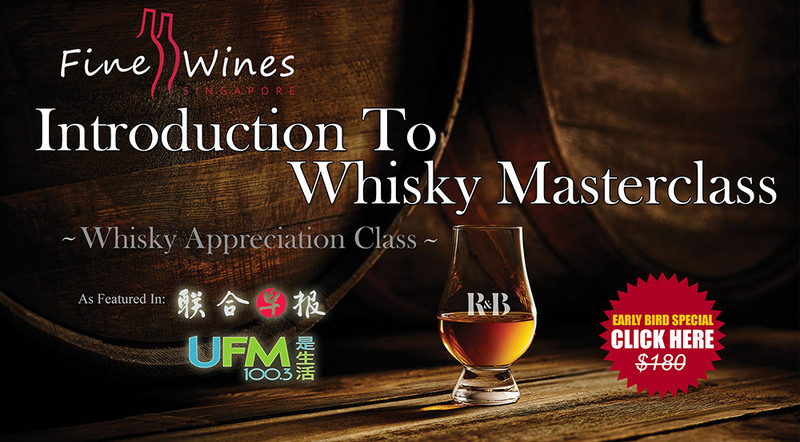 This is the one and only whisky class in Singapore that not only offers in-depth understanding of whiskys but also at fraction of the price. Certified whisky classes in the market can easily costs $1000+ but here at Fine Wines SG, we believe that all whisky lovers should be equipped with basic whisky knowledge to enjoy whisky better and to upgrade ones social identity thus we are offering this low price. 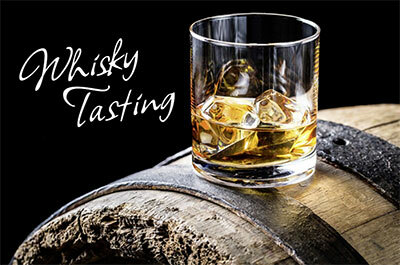 Whether you are a novice or expert whisky lover, it would be a fun and educational experience for all. Did I mention also that knowledge means you’ll buy better and order wines smarter? Impress your friends, colleagues, clients and even your boss with your new whisky knowledge and stay in their circle. Attended the course and it’s really interesting to know more in depth of all the wines and where are they from and the different taste... thumbs up ! Insightful session by Sam! Gotta practice on the Wine Lamguage now! Thank you! Good lesson. Will knows more about wines and how it manufacture. The Bordeaux Wines Appreciation class was fantastic! Mr PK's presentation was lively funny and chock full of information! The 3 flight blind tasting with PK's expert guidance is such an eye-opener! You will definitely have a new and inspired approach to wine. Although it wont make you a wine expert afterwards, it marks the beginning of wonderful journey into the world of wine for every wine novice. Come and try! Had such a great time at the class. It was so informative, yet fun at the same time. Will definitely be back! Wonderful wine tasting experience with a knowledgeable wine connoisseur. Would highly recommend any wine lovers to attend. Amazing wine tastimg class, so informative!! it was great lesson. P.K is very informative and knowledgeable. PK was very knowledgeable. We learned a lot, tasted a lot, and will definitely be coming back for another course. Regular wine classes are informative and a lot of fun. Really enjoyed the French wines course. Picked up very useful knowledge. The Burgundy class was interesting and informative. I learned a lot about the wines from that region. The class was educational, fun and interactive. Teacher Samantha and PK were very engaging, knowledgeable and entertaining. Will come back for more! Are You Ready To Unlock Your Hidden Wine Palate? – Prepayment is required to reserve your seat. – Voucher is personal and non transferable. – Voucher is limited to purchase of wines.